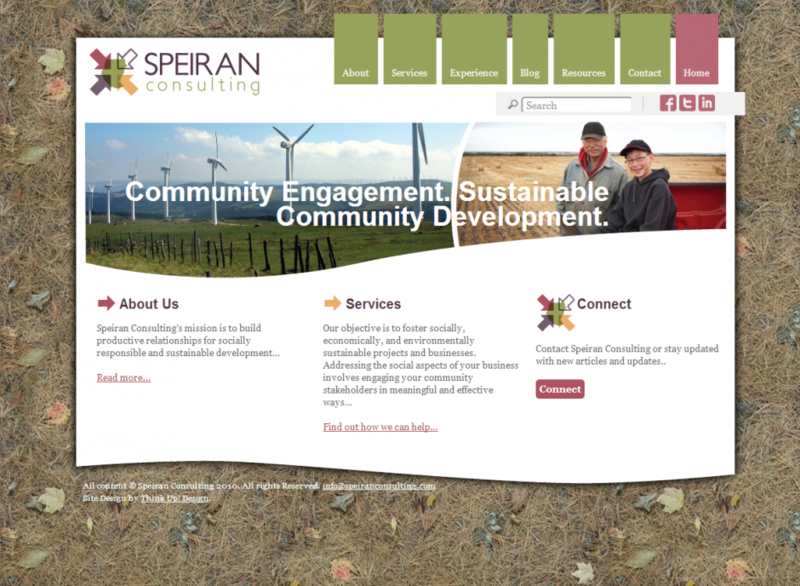 Speiran Consulting is a small professional consulting company focusing on community engagement and sustainable community development. 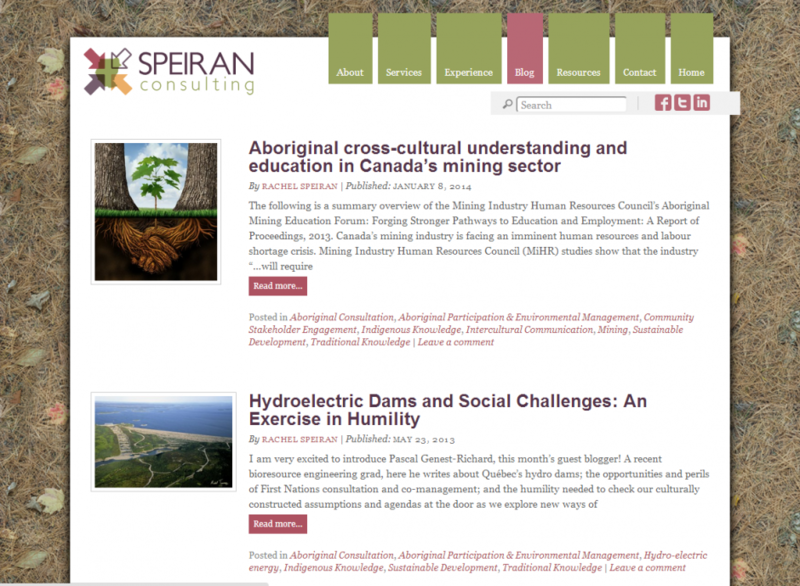 Working mainly with people and community integrating with the natural resources sector, Speiran Consulting came to Think Up! 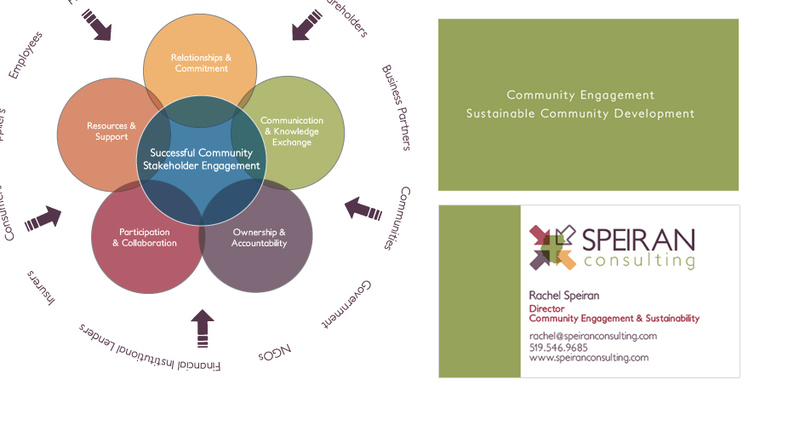 Design with a wealth of experience in the multi-faceted environment which connects land, resources, people, communities, economy and government. The final logo design and brand colors captured the essence of the interconnectedness and intersection of multiple parties and perspectives. With the logo setting the stage for further brand development, Think Up! completed business cards, stationary, report templates, presentation materials, a website and client training with the WordPress CMS. 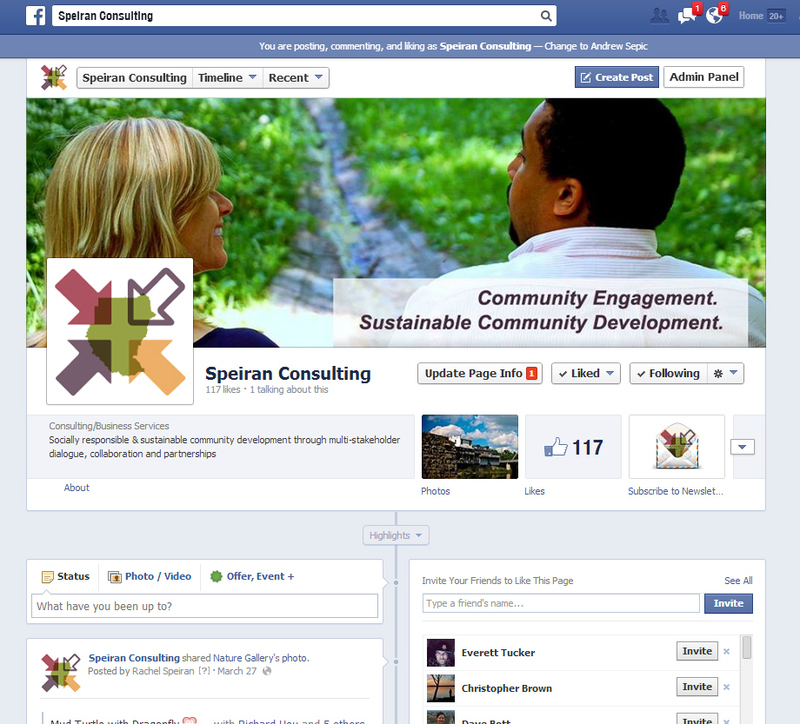 Working with Speiran Consulting for the past 4 years has been a rewarding experience for both parties.